A homeless dog living in a trash pile gets rescued, and then does something amazing! "In this clip, Andrew Graham-Dixon travels to the Viking Ship Museum in Oslo to reveal the greatest of all the Viking Age discoveries: the Oseberg ship." "A group of scientists has written to the World Health Organisation two days before World No Tobacco Day on May the 31st." "Queen Victoria, the monarchy, and the British Empire are built on theft, bloodshed and murder..."
"US author, poet and civil rights activist Maya Angelouhas died at the age of 86." Maya Angelou (/ˈmaɪ.ə ˈændʒəloʊ/; born Marguerite Annie Johnson; April 4, 1928 – May 28, 2014) "was an American author and poet. and television shows spanning more than 50 years. She received dozens of awards and over 30 honorary doctoral degrees..."
"U.S. television and cinema promote images of Americans that are … well … wrong! Pop Culture versus Real America will contrast those pop culture images with profiles of real Americans in every walk of life." or English as a Second Language (ESL). It was adapted from the original publication Pop Culture Versus Real America (2010)." "This Learn English With Photos lesson is based on photos taken during a visit to Stonehenge in 2012. Learn some interesting facts about one of Britain's most famous historical monuments and improve your English vocabulary at the same time. There's also a speaking activity at the end. You can download a transcript and glossary here." "It is a powerful visual journey into the heart of an astonishingly symbolic environmental tragedy. their bodies filled with plastic from the Pacific Garbage Patch..."
up from 875 million in 1980, according to figures published in the Lancet. US, China and Russia had the highest rates and the UK was third in Western Europe, the 188-country study showed. "Google has launched a service to allow Europeans to ask for personal data to be removed from online search results." "New figures from the EU border agency, seen by the BBC, show 42,000 migrants entered illegally in the first four months of this year..."
(The Persuaders, Merchants of Cool), to continue to explore life on the virtual frontier." "The Library" explores the emotions and media activity that follow a deadly school shooting. The play was inspired by the real life shooting attack at Columbine High School in Colorado in 1999." "As a young girl, photojournalist and TED Fellow Kitra Cahana dreamed about running away from home to live freely on the road. — giving a glimpse into a culture on the margins." "Watch the slideshow and play the game (Rags to Riches)..."
which is deep-fried and sweetened. 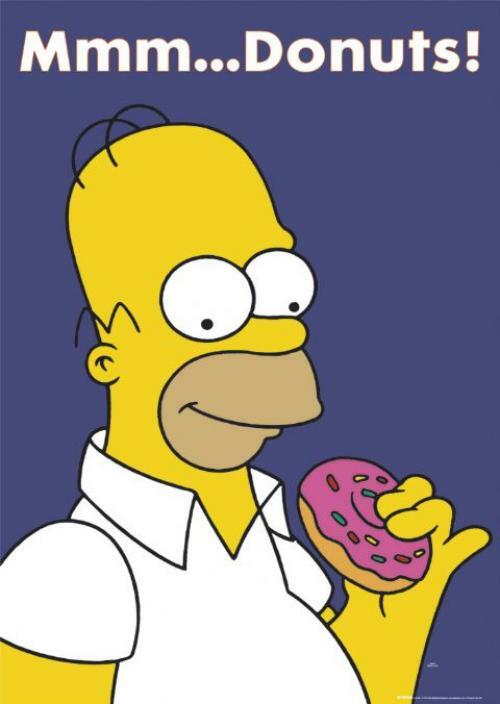 Many American doughnut stores offer free doughnuts on National Doughnut Day." by traffickers who use scare tactics perpetrated by native doctors and false promises. The campaign was launched in the House of Lords in October 2012. The film won the Gold World Medal at the 2013 New York Festivals and the 2013 Human Trafficking Foundation Media Award." "Who is YOUR favorite Disney Villain? Maleficent, Ursula, Cruella and the Evil Queen have a point: what if we begin seeing things from their perspective? What if Disney Villains are just misunderstood?" The lyrics are below the video on YouTube. "In this music video by AVBytes, the Evil Queen, Ursula, Cruella DeVil, and Maleficent sing about their malicious aspirations for their sworn enemies." and published in 1798 in the first edition of Lyrical Ballads." PLOT : "The Rime of the Ancient Mariner relates the experiences of a sailor who has returned from a long sea voyage. The mariner stops a man who is on the way to a wedding ceremony and begins to narrate a story. to create a sense of danger, the supernatural, or serenity, depending on the mood in different parts of the poem..."
and missing in action (MIA) service members of all U.S. wars. The group's first demonstration was in 1988. It was incorporated in 1995, and has more than 90 chapters throughout the US, as well as overseas. which leaves the Pentagon parking lot at noon, crosses the Memorial Bridge, and ends at the Vietnam Veterans Memorial...."
"is a film by street artist Banksy that tells the story of Thierry Guetta, a French immigrant in Los Angeles, and his obsession with street art..."
What have they done ? "You can listen to the song while the map tracks all the places." "What time is it? Quelle heure est-il? Deux heures deux : Two two..."
Useful for comparisons, for example. "A major supermarket in the UK will soon remove all candy and chocolates from near its checkouts." "Move by retailer welcomed by health and parenting groups and backed, according to survey, by two-thirds of customers." "Memorial Day honors all of those who have died in America's wars. But the holiday began as a way to remember soldiers killed in the Civil War." of the Unknown Soldier at Arlington National Cemetery." "Los Angeles is famous for its murals. The artwork covers the sides of buildings and bridges over busy roads. They add color and personality to the city." in the Hollywood section of Los Angeles." That is the Italian name for photographers who chase famous people in an effort to take their picture." Love song, slow and easy to understand - for ESL students. into the background of the controversial leaker of U.S. classified info. Jeanne Yurman reports." "The wedding has taken place of TV star Kim Kardashian and the musician Kanye West in Florence. The celebrations began in France and moved to Florence for the ceremony." "To accept his Webby for Person of the Year, Banksy made this video about his Residency in New York City." "Considéré de prime abord comme un peintre difficile, J.M.W.Turner est en fait parfaitement accessible. Et en même temps, ne nous devons-nous pas de travailler avec nos élèves des œuvres complexes ? Ce qui peut sembler source de difficulté dans l’œuvre de Turner (pour des élèves de collèges) c’est toute cette émotion, cette sensualité qui s’en dégage. D’où l’idée de faire appel aux cinq sens pour entrer dans ce monde pictural dans lequel on ne peut que se retrouver. C’est en fait d’un voyage qu’il s’agit. Un voyage au cœur de la création, par la création. La phase d’analyse que je propose à la fin n’est qu’une analyse parmi d’autres possibles. L’une fut proposée à des élèves, l’autre à des stagiaires, enseignants pour la plupart. Des pistes de prolongements possibles sont proposées après le descriptif de la démarche." Millions of people are expected to visit the National September 11 Memorial Museum in New York City. It was built on “Ground Zero”, the grounds of the former World Trade Center." "There is a phrase in English when someone gets a big salary that they earn ''telephone numbers''. A man in New York is suing the city, and others, for so much that it is almost impossible to think of a comparison." Let me tell you, hang around me no more"
"The robot tank is moving rapidly through the scrub on its caterpillar tracks. It comes to a sudden halt and its machine gun opens fire with devastating accuracy." "A French inventor's prize-winning baguette vending machine offers hungry customers their beloved hot loaves at any hour of the day or night. "This Learn English With Photos lesson is based on photos I took in the so-called 'Windy City' way back in 2000. Learn some interesting facts about Chicago past and present and improve your English vocabulary at the same time. and Paul Jesson. The film concerns the life and career of British artist J. M. W. Turner (played by Spall). A look at the last quarter century of the great if eccentric British painter J.M.W. Turner (Spall)." with his self-help manuals; his wife Cristina manages the career of their thirteen-year-old son, Benjie, a child star..."
An iron horse made with pieces of farm machinary. For a larger picture, click on the picture. He had a successful career in bronze sculpting, but changed his working techniques." "Yes! the guy's reaction is totally authentic. He had no idea we were coming, and he really got the order right (almost right). We couldn't believe it either, so we understand the questions...."
I want mine crunchy, I like to eat loud. and two taco salads for our senoritas..."
"The European Court of Justice recently ruled in a case involving the Internet search engine Google. The court ruled that Google must sometimes, on request, remove links to reports containing personal information." "This lesson gives students the opportunity to find out more about England. It is one of a collection of four Destination UK lesson plans that look at the four countries that make up the UK. They will have the chance to read about England and find out a little about its people, culture and icons." "In this video Simon Tofield demonstrates how he draws mice!"